Did Hodgson deserve Liverpool sacking? On the day arguably England’s most successful club (a joint-record 18 league titles, five European crowns) made the announcement, Liverpool were 12th in the Premier League table and fourth points above the relegation zone. This is simply not good enough for a club of this stature at any time, least not past the halfway mark of the season. And there was no end in sight for suffering Liverpool fans such as myself. The once-mighty Reds won only seven of their 20 league games under Hodgson and lost three of the last four. It wasn’t as though they were playing attractive, good football either and were just unlucky. There was no togetherness, no fight, and very little service to those up front. No wonder star striker Fernando Torres looked sullen at the best of times. The defense was the worst part. With Jamie Carragher out injured, you could see the players looking at each other with disbelief when another tame goal went in. Once it was difficult, if not impossible, to penetrate the Liverpool back-four - now you could do it with one arm behind your back. Pepe Reina was seldom to blame, and when you have a quality goalkeeper like that conceding so many, you know things are not right. Hodgson blamed some of the bad results on the players not being his. But let’s examine this claim briefly. Three of his four signings have just not worked out. Raul Meireles has been okay, and Joe Cole might come good with some more games behind him, but Christian Poulsen and Paul Konchesky are hardly Liverpool players, are they? Yet Konchesky starts more often than not. In my opinion, he should have stayed at Fulham with Hodgson! Roy’s failure to get the players on his side was one thing, but he lost the fans almost from the start. Remember when he failed to back Torres immediately after Manchester United boss Alex Ferguson accused the Spanish striker of cheating? I watched that game and United's Nani could have won an Oscar for his “Oh, I fell over” performance. But Roy decided to stay quiet until later and not displease his friend Alex with a comeback. Bad mistake! Another lowlight was when Liverpool lost 2-0 to Everton and Hodgson claimed it was “our best performance of the season.” No Roy, there’s nothing ever good about a loss to our Merseyside rivals. To be fair, it wasn’t all his fault. The team is short on balance and clearly relies too much on Steven Gerrard and Torres, and when they aren’t clicking there is no-one good enough to take over. Former coach Rafa Benitez must take some blame for that. But he is gone and probably doesn’t care. And let’s not forget about former owners George Gillett and Tom Hicks, for whom it seems the club was simply a way to make money. They left it in a mess. There’s hope for fans in the new owners though, and Dalglish is a clever stop-gap until the end of the season. If anyone can inspire the players it’s "King Kenny" - who has stayed very much in the mix at Liverpool, a club he has not only managed successfully but played and won many things for. It’s too late to hope for a Premier League title this season but consider this: John Henry’s New England Sports Ventures took over the Boston Red Sox in 2002, two years later they won Major League Baseball’s World Series for the first time in 86 years. Three years later they won it again. I was agreeing with this editorial until you got to the part where you placed the paragraph stating that some of the blame falls on Rafa Benitez shoulders ahead of the paragraph regarding Hicks and Gillette, It was these two money grabbers who caused the problems for Rafa and should take the vast majority of the blame. it has been proved by experts in accountancy on a number of occasions that during Rafas term he actually made more money for the Yanks in his dealings than they ever gave him for transfers, he was forced to sell players he didn't want lose in order to try and bring in players he wanted who by and large had gone by the time he was given permission to make offers. Mr Benitez was sacked, not for finishing seventh but because he he was about to tell tales about the thieving pair and Hodgson was brought in by a Chelsea supporter and two clowns wanting to hurt the club. He was never good enough and sadly this has been proved. I hope Hicks and Gillette end up in their respective hells. Yes, he deserved to be sacked – he was not good enough to be appointed in the first place. Hodgson is a very nice human being.... perhaps too nice for Liverpool especially with Alex Ferguson! Pictures of him publicly showing mutual affection with Fergie did not go down well with the fans! Most of the time he was clueless about tactics during a game! When pictures of him in the manager's box are shown there was often a blank look on his face. There was also a blank look when he was standing at the touchline! Roy Hodgson was just not big enough for a club like Liverpool and he surely did not know the Liverpool way. Nor did he attempt to learn about the Liverpool way! King Kenny is Liverpool. Let's hope that he can pull the players together and bring back the glory days to Liverpool! YNWA! First thing frst I commend you greatly on such a well written article. Yes it was right that FSG sacked Roy Hodgson. He was just akin to raincloud of doom and gloom whilst he was here. He should never have been appointed in the first place. "one of England’s most successful clubs"???????? We are THE most successful club in England. Clubs are business ventures and profit is the key to going concern. In the case of football winning games and keeping the fans happy is the key to making profit. If Roy is not making that happen then he needs to go. Liverpool can't afford to be relegated that is bad for a team of that status. He was lucky to have stayed this long. I used to support Liverpool but changed to Man U, they're much better. If Liverpool ever improve I'll support them again. To me this is somewhat comparable to Wade Phillips and Chan Galey of American football. Both gentlemen are very knowledgeable about their sport and have had long careers in their sport but very mixed results. They both seem to be able to initially wow the owners of the teams that hire them but too often find themselves unable to win the attention and respect of their players or the love of their teams' fans. So they have an occasional winning season but too many seasons of frustration where everybody wonders why their team with all its fine, expensive talent can't compete and underachieves so badly. Consequently, they both find themselves leaving their team to seek other employment every few years. Sometimes it is by "mutual consent" and sometimes they are simply relieved of their duties but it is never a situation where the team implores them to reconsider and stay on. Perhaps it boils down to the essential difference between being an administrator or a manager. – Please stay with Manure. King Kenny is back! The most winning club in England, the most winning player/manager in England...."say no more!" Liverpool must get back into the top 5 so YES,there had to be a change. Daglish hasn't been a top flight manager for more than 10 years. Sticking someone in the job just because of past glories and legend status is silly. The players need a manager who can start to build a cohesive unit that plays modern football. I predict more of the same from Liverpool until they make the real leap forward that they need to become competitive again. The greater question is if Hodgson deserved to get hired in the first place. I think not. Roy Hodgson was the latest in a line of Liverpool mamagers who the owners expected to make a silk purse out of a sows ear.The club has possibly five world-class players, the rest are just making up the numbers. Roy has an excellent track record and I do believe that, given a little more time he would have licked even that mottly crew into shape.Don't hold your breath for Kenny-he inherits the same squad that Hodgson did and quite frankly they aren't up to it!! I hope I'm Proved wrong. Further to my comment about Liverpool and Roy Hodgson,Newcastle have exactly the same problem(s) Impatient, short-sighted owners who expect a manager to work miracles with a pile of rubbish. Killian, please explain, is Manure a new Liverpool player I do not know? What Liverpool needs is a German coach. So does England for that matter. Then maybe a hope in vinning somefink. LFC was simple too big for Roy Hodgson. Other Premier League managers feel sorry for him, I wonder if they (SAF particularly) would like to suggest RH to succeed them when they step down from their respective jobs? Abdo, I think you should stay with ManUre. That's a much better fit for an idiot like you because there are already so many of them there. Abdo stay with the manc ur a fickle fan. Baz M. Liverpool have 3or 4 world class players another 3 good players and another 4 players who are average. As a manager you are supposed to get the best out of what you have an Liverpool have enough to be at least in 6th place in the league may be 5th and I'm talking at the very least. Under Roy Hodgson we are what 12th and on a downward spiral. We have not only played poor football but have showed no real desire for it and have looked disjointed. Worse than when Rafa was in charge. Hodgson had to go before it became even worse. End of. Candy Reid, a great piece ! Yes, Rafa was sackled by the duo owners and tried his best, he deserves every kop respect ! Hodgson, he should never be mentioned, right – there aint no 'mutual consent'. Commenter Matty – I read you ! The cohesive force you say ! From Kenny's first media interview at LFCTV, I quote " I've been a very lucky boy to be asked to do this. All I would say is I'm going to do the best I possibly can to try and help the club, but everybody has to pull in the same direction. There's no point not being a unified unit. If we pull in different directions we won't get anywhere. I'm really looking forward to it and it'll be a real pleasure for me to be in that dressing room again and on the bench." to BAZ M . Just shows you how good a job Rafa did . with Owners needing to repay finance and undermine him with rumours of Klinnsmann taking over . Plus only 2 years ago Liverpool came second in a stronger premiership than today . You shall be proven wrong as you sound like one of them short terrm fans. Dont compare us to Newcastle either as theres no flippin difference given the huge changes in LFC over such a short time period. I hope to be proven wrong,but I think Dalglish's appointment could end in tears! – for both the club and supporters,and also for Kenny himself ! He was carried by Paisley, and also by Ray Harford at Blackburn ! He failed at Newcastle & Celtic !!! His best position at LFC would be doing what Comolli is there for , although these days he is probably out of touch ! He really should have stayed wih Liverpool, that would magnify up the really bad players and management at the end of the season. But frankly, he's truly hopeless. Worse still, no place for Americans in English football. Most of you Football Fans and Football journalists are delusional and have been barking up the wrong tree. When a club and its players under-perform we sack the manager. You seem to forget that once the players get on to the pitch, its upto the players, the managers can do nothing except hope for a good press conference after that, even if he is the best manager in the world. Try getting Alex Furguson to coach a 3rd club if he is that good. Sack some overpaid players instead , you will then get them pulling up their sock and perhaps a provide a higher standard of play in the world cup. We all know that players owe their primary allegiance to those who give them the cheques and its not their countries. @ Abdo, you are not a football supporter. You must go f yourself. As for Rafa, he is a great manager. He just need the right people to work with. I will welcome him back to Anfield. I am an arsenal fan, and this time i do agree with the sacking of hodgson, however i am againsts the sacking of football managers just because his team lost a coulpe of games. Hodgson had from Augest till now to solidify L.pool and make them a dominant team, and he failed to do so. Secodly they need to buy more reliable key players and invest more in to the team and buy players that are more reliable instead of just buying players because of their big names. In fairness he should have been given a shot at the transfer window at least. But by the standards of modern football and Liverpool's expectation he probably had to go. I feel sorry for Roy,I really do. He inherited a team going backwards rather than forwards, tweedledum and tweedledee as owners and fans expecting success rather than realising the realities of the situation. Being a football manager must be the most precarious job in the world. If the 11 players on the pitch don't perform for you then for some reason its your fault. 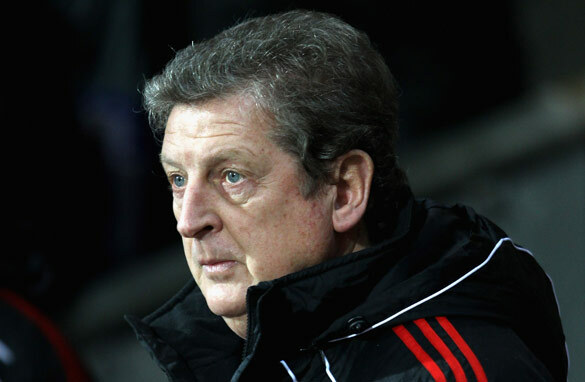 Hodgson is not an inexperienced manager – he has been successful home and abroad but circumstances worked against him. We always seem to need a target to blame for failure and in football it is always the manager. As a Liverpool fan, I appreciate that he had to go because he had lost the trust of the fans and the media had targeted him as prey. From this point onwards, even if Liverpool won the next game, the press would still have circled him like vultures and that sort of negativity is very contagious. So good luck Roy – in whatever you do next. He will probably go to manage some lesser team who will then start to do brilliantly and then he will be labelled the Messiah! I think replacing him with Kenny was very smart as the fans will immediately love him and continue to love him even if the team continue to perform badly. Liverpool is starting to resolve the problems of the last few years but as fans, we can't expect the moon and the stars with the current ageing team! Abdo, there is a name for your kind. Glory Hunter. But Matty that is the English way with the arrogance and stiff upper lip. This guy is past his time and his statement about players not being his wreaks of exactly how they really think of others. Bye Bye Roy O old boy head on down to the pub for a pint of Kil Kenny get that in you lads. It's the Liverpool players that are the primary reasons for the result/failure. The manager and owners have a responsibility to put together a team, but without individuals that excels and leads on the field there will be no results. The tactics should be decided by the manager, but it is the stars such as Torres and Gerrard that should/must decide the outcome in the matches by doing a bit more in every situation. Except for Barcelona (which is a team with so many excellent players) a team is always lead by one or two players/stars. he should have been given time, there is more than one rotten apple at that club, getting rid of last manager and last owners was a start but that would not fix the on field problems, King Kenny will do ok but he's not going to stay long term, players need to face up to the fact they are the ones representing Liverpool most of the time, shame they were no on performance only wages.. I think is a good desiscion for the reds to part away with Roy. He has not got the magic of reviving a dying team , and we are afraid to go down same way like new castel last two years. Dalgish is a red also he knows what it means to be at the hemp of that club. I will also advice the club officials that such a big team should be depending only on one striker who is Torres and one midfileder Gerald, please this is an opportunity to bring us back to the top 4 bring in new players. LFC should never have hired Hodgson, his negative pre-match interviews were uninspiring so I dread to think what his team talks were like. He was too in awe of his position to fully take control, much like Gordon Brown when he became Prime Minister; "I've got the job, now what do I do"? He also hired Konchesky, who said in an interview after he joined thew club "I’ve got to up my game," and "Where I’ve played before has not been as high a standard as Liverpool – but this is a good pressure." You don't bring in a guy of his age and expect him to both improve and make a positive impact, when you are trying to win games... That shows Hodgson's poor judgement. Kenny may not completely fix things but I am sure he can stop the rot and stop us being relegated. First, let me make my opinion clear – Liverpool failed to produce under Hodgson and, as manager, he is ultimately accountable and therefore he should it makes sense for the ownership to relieve him of his duties. However, I feel that the players have not been held accountable by the media and supporters; their performances have not been up to the standards that they are capable of delivering (and for which they are handsomely paid). This includes their "core" players like Gerrard who has been inconsistent but seems to escape a lot of scrutiny (the same thing happens when he plays for England). Torres has obviously been dreadful and Glen Johnson looks nothing like a world class back he is supposed to be. Even Carragher, whom I like and respect, was playing poorly before his unfortunate injury. I think it is important to note, this poor play also occurred last year whilst Benitez was in charge. When blame is placed, most of it seems to be directed towards the "bit" players like Konchesky. Yes, the bit players have been bad, but the core players have been too and they are the ones expected to produce both the results and the leadership. As for placing blame on the (bad I admit) previous ownership situation; it certainly could not have helped things but I question whether it is the cause of the poor play. The ownership situation was bad in 2008/9 and yet Liverpool had their best finish since the Premier League was formed. Whilst I support another Premier League side, I do believe that Liverpool can return to its successful traditions. I have a feeling however that, whoever you choose as manager, it won't happen with this group of "core" players. Your beloved Kenny Dalglish was a magnificent player but he won't be on the pitch. Roy deserved to be sacked even earlier. Furthermore, he never deserved to be appointed. A manager with no mangaerial experience with a winning club is not suited for Liverpool who expect to win. Dalgish needs to be given the status Ferguson hold in Man Utd. Given the time and resources he will inevitably lead Liverpool to regain status as No. 1 club in England. I am glad I switched to Man Utd after today's game. Maybe Liverpool fans should switch to supporting Everton as they are a little bit better. i think as a die hard of Liverpool fan, the answer to that question is yes.Although Liverpool waited too long to make such a decision Roy is too small a manager to comprehend what it takes to be a never walk alone fan. Man Ctiy have replace of Liverpool into England Top 4!!! Liverpool fans... you lose because your players are not up to snuff. Your problems run far deeper than poor Roy Hodgson and your vitriol is misplaced. They gave you king Kenny, so you'll keep buying shirts and coming to games, therefore giving them enough money to turn it around while you lose over the next 18 months. It's like giving a lollipop to a screaming 2 year old who isn't big enough to understand what the hell is really going on. Look at your roster compared to Man U or Tottenham or even Sunderland or Everton, who are above you simply because they have better players. Torres, Reina, Gerrard, Johnson, Kuyt, then who? Who are the stars of their international teams? Babel, Ngog, Rodriguez, Miereles, Carragher, Skertl, come on! Name a ball winner or a winger with pace, someone who reliably holds the ball, distributes and creates his own space? These guys would be reserve players at Arsenal or Man U. Is there more than 1 player in the front, back or middle with pace? Who has your academy produced this decade? I have always enjoyed the Liverpool way and with midfielders like Gerrard, Alonso, Mascherano and defenders who could still defend, they have always been the team to have your players watch and were playing top notch football as little as 3 years ago, but not now. Hodgson only spent 20 million, which is less than your beloved Rafa wasted on Aquilani, for 5 players and got a couple of serviceable players in Miereles, Konchesky and Cole, but didn't have enough money to get what he needed to repair all of the Hicks era damage. I'm not sure how he fills the 6 holes you have with that kind of money and frankly, if you're a world class club, you can't. Sunderland was more active in the transfer market for God's sake. The fact is that Liverpool can not field a world class 11 and you'll be lucky to be in the upper half and that has little to do with Roy Hodgson. It's a pity that he was sacked,he's a nice person and I like him as a person. I wish him good luck. No. They were suppose to give Hogson at least a year to turn things around. Hogson was suppose to be given enough money for the purchase of more talents so that those big ego and unproductive liverpool stars had to fight to keep their place in the starting 11. If they keep on like this without making these players to sweat to keep their places in the starting line then RH will just be the first out of atleast 5 to be sacked this season. Liverpool are going backwards because their players are not good enough. Rafa couldn't motivate the lame bunch he saddled himself with. Hodgson had no chance and didn't even get the courtesy of a full transfer window to stamp his own mark on the team, and "king" Kenny, is doing no better. Two games in charge two defeats. Face it, Liverpool need to invest big time or nothing will change, whoever you put in the dug-out. Lets not blame Roy for Liverpool's poor show – it started 2 years ago under the old Spanish Manager who did most of experiment with some excellent players who have already left the club. I very much doubt under Daglish the club will improve immediately unless they replenish the set up with 3 key changes. 2 dominant midfielder and 1 excellent striker to pair with Torris. Possibly they could end up 3rd or 4th in the table with this changes but I dont think any major trophies will be won by the Red Devil. For next season they should rebuild the team with more youthful players. Liverpool have made the tough decision and in my opinion, a club based on deep tradition, as they are, needs to go back to what worked before. Dalglish is an inspiration as a player and a manager. The new owners must put their money where their mouth is, stay out of the way and let Kenny do what he has proven more than once before. In my mind had he not tken on the task there is only one other option and that would have been to entice Martin O'Neil to come back to management. The reds will recover and two season's from now people will be wondering if this was all just a bad dream.